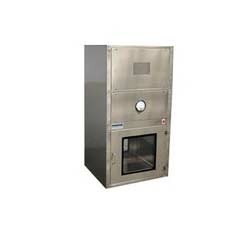 We are the leading Manufacturers, Supplier and Distributer of wide range of Clean Room Pass Box, Stainless Steel Pass Box, Static Pass Box & Dynamic Pass Box. N.S.C ELECTRONICS Clean Room Pass Box is designed to minimize traffic and contamination entry into the clean room, enables parts, tools and other work items to be passed to room and from the room. Unit acts as an air lock device preventing ambient air from entering, or clean air from exiting the clean room. We are the leading Manufacturers, Supplier and Distributer of wide range of Stainless Steel Pass Box and Clean Room Pass Box. Our wide range of Stainless Steel Pass Box is widely used for transferring the material from and into the clean room, without contaminating the air of clean room & without having to open room door. 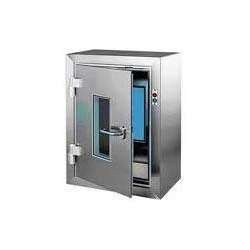 Mechanical interlocking or electro magnetic Interlocking type doors. Made out of SS 304 & SS 316 or MS powder coated. We are the leading Manufacturers, Exporter, Supplier and Distributer of wide range of Dynamic Pass Box and Clean Room Pass Box. 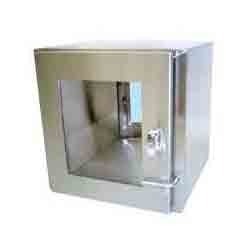 Looking for Clean Room Pass Box ?